DellWindowsReinstallationGuide is written and maintained by Philip Yip. Thanks in advance for leaving any donations Philip. This guide has a complimentary tutorial video. What are Storage Controller Drivers? Storage Controller drivers are required for Windows to recognise the storage controller and hence write to the SSD or HDD during Windows Installation. These drivers are labelled F6FLPY SATA drivers for historical reasons as they could only be loaded from a floppy disk by pressing F6 during the Windows XP setup. In a few other cases, the drive will be seen during installation however Windows will fail to configure at the last stage. How Up to Date is my Windows Installation Media? 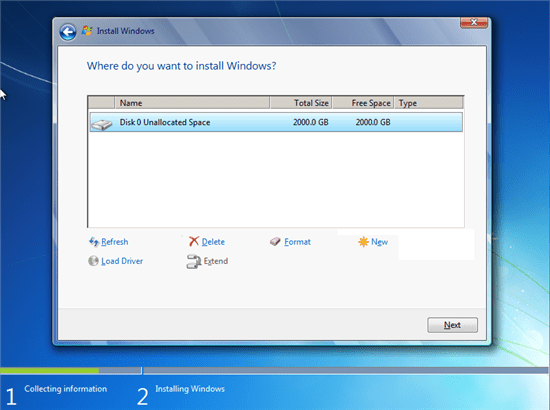 Windows installation media contains an assortment of preinstallation drivers so they do not need to be loaded separately in many cases. As a rule of thumb; if you systems hardware is significantly newer than the Windows installation media or you are using an advanced configuration such as a Solid State Drive as a Cache Drive or an Advanced Format Hard Drive on an older system, you may need to load SATA drivers. If your hardware is older than the Windows Installation media then the Windows Installation Media more than likely obtains the SATA drivers. For Windows 10 Microsoft have followed my advise to create a new Windows Installation .iso every couple of months making the need to load additional Storage Controllers pretty much a non-existent issue for Windows 10. Windows 8 and Windows 8.1 are far inferior Operating Systems to Windows 10 and as all Windows 8 OEM and Windows 8.1 OEM Licenses work with Windows 10, Windows 10 should be used in their place. This guide will hence focus primarily on Windows 7. It is recommended to use up to date installation media such as the Dell Windows 7 Pro OEM Skylake Reinstallation .iso or to Slipstream Storage Controller Drivers, USB 3.0 drivers and Updates to your Windows 7 Installation Media (Advanced). As Windows XP is at End of Life I do not recommend installing Windows XP at all especially in a non-virtual environment… For Windows XP the procedure to load preinstallation drivers on physical hardware required a floppy drive and you had to press F6 at the start of the setup hence the name F6-FLPY. Slipstreaming with nLite was easier and didn’t require a floppy drive, see here for details. On this screen you will be told whether your version of Windows is 64 Bit or 32 Bit and whether your processor is Intel or AMD. If your processor is Intel (most Dell Systems) you have an Intel Storage Controller and if your processor is AMD you have an AMD storage controller. VEN_8086 means Intel &DEV_xxxx is your specific Device. Press [Ctrl] and [ f ] on this page and search for your Hardware ID on this page. In my case PCI\VEN_8086&DEV_1c02 shows 12.9.0.1001. The Latest Storage Controllers can be downloaded from Intel. I am not familiar with AMD’s hardware and cannot advise on the means of finding the latest driver from their website. Select your system type and model number. Alternatively press [Ctrl] and [ f ] and search for your model number. In the case an XPS 8300. Then select ok once its informed you all the files have unzipped. If any additional setup Windows begin, cancel the installation. Open up Windows explorer, right click the search bar and select paste. If there is an x86 (32 Bit) and x64 (64 Bit) folder open the correct one depending on your architecture. The SATA drivers should be present as a security catalog and security information files. When you get stuck on this screen select load driver. 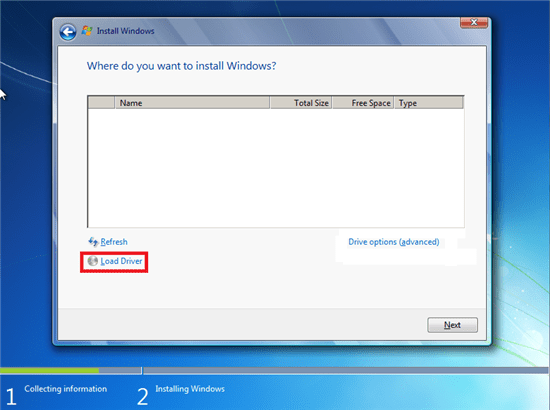 In general you wouldn’t uncheck this box and the drivers would display if you have the right drivers for your hardware. If multiple dirvers are listed press [Ctrl] and [a] to select them all and then press next. After Windows has loaded the correct drivers for the storage controller your hard drive will show. Now that Windows can read/write to the driver you will have the options to Delete, Format or Create a New Partition. You should return to A Clean Install of Windows for details on proceeding with the installation. Please provide these guides as TEXT, not as videos. It is hard to skim back and forth for details, URLs, commands etc. in a video, especially with no speakers. Its something I have planned to do. The videos were quickly done and have no audio. I plan to update both the videos on YouTube with audio and add text separately on this page. So, you install before partitioning and formatting? See the updated version of this page. You must load the drivers so Windows can recognise the storage controller and hence read/write to the hard drive(s). You will be unable to format it if WIndows cannot read it. Hi i followed every instructions, but in the last step , the drive doesn’t appear. I have an xps 15 l521x if that helps. What version of Windows? What SATA operation? What SATA drivers are you using? Do you have a mSATA cache drive? Please make a new thread in the Dell Community Forums, Microsoft OS Forum. It gets difficult to manage questions in the comments section here. may you find yourself obliged with a single desire within your heart…. (if you so choose, perhaps a good one ). . smiles, thank you for this, your forum, probably the fifteenth in, finally helped make a bit of headway. so thank you once more. .. very helpful, your knowledge is much appreciated. Please make a new thread in Microsoft Answers or the HP Community Forums opposed to asking for driver support as a comment. any simple method to boot.??? I don’t see any Toshiba specific drivers being loaded however (I don’t see this as any different from loading the SATA preinstallation drivers). Thanks for such a quick replay. ^tried that.That’s why I’ve implemented hotfixes (KB2990941, KB3087873). Without them, I could’t see the HD at all. ^I’ve tried them as well. Without this driver, I couldn’t see HD. ^Got this driver in Version: 1.5.0.1002. Doesn’t help. After trying to install, os says “No new devices could be found. Make sure the driver files are correct and located on the driver installation media. ^Didn’t see that before. I’ll try it. ^Yeah, I know. Couldn’t find any myself. It was given to me by someone who got it for a Precision 7510 from Dell Technical Support.